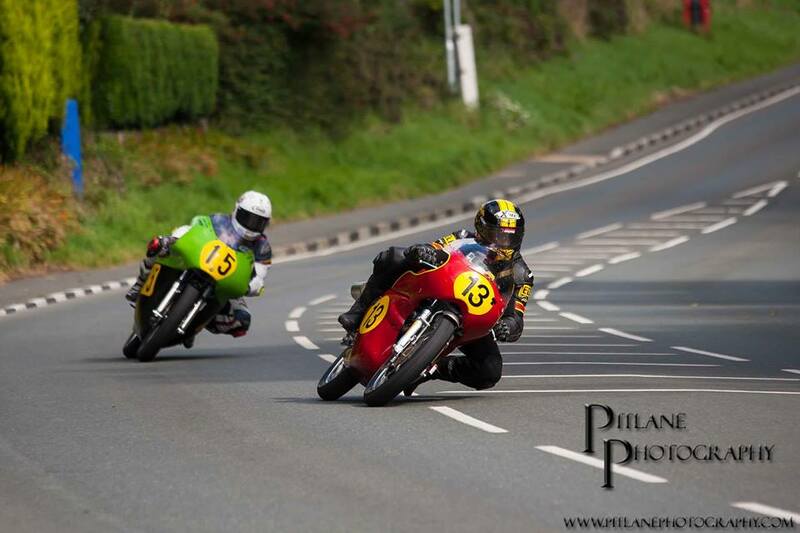 Here are the results of our Vincent boys from the 2016 Classic TT. The weather was awful most of the week, starting on Saturday the 20th with the cancellation of the first practice sessions. 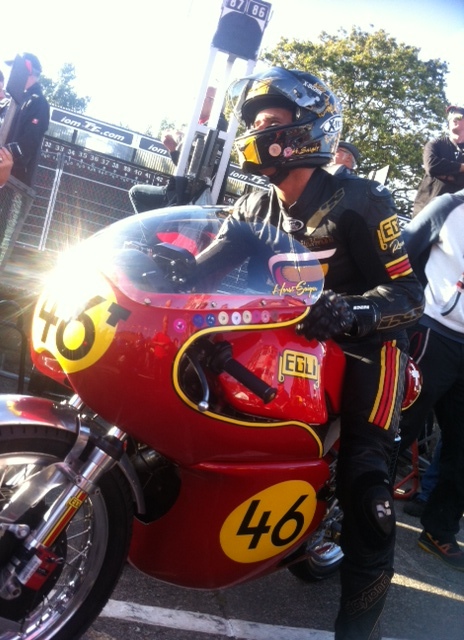 Monday the 22nd, Horst (#46) made a first lap and the 14th best time (23:31:840, 96.206mph). On Tuesday, Horst was not able to do better while other team were still working on the bikes. On Wednesday Lancelot closed a first lap in 23:10:090 (97.712mph) while Cam has some mechanical issues but succeeded to come back to the pit by his own means. 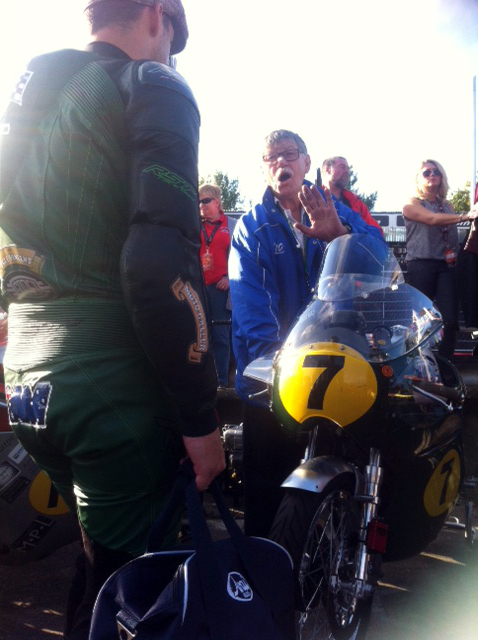 Thursday the practice session again was cancelled due poor weather conditions. Finally on Friday, the four Vincents were on the track and qualified for today’s race: Horst (102.065mph), Cam (97.822mph), Bruno (96.610mph) and Lancelot (95.495mph). 11:30am on Thursday the firsts two riders took off side by side. Overall the combination of the practice sessions ranked Horst 15th, Cam 30th, Lancelot 32nd and Bruno 33rd. Lap 1: Bruno (Plate #32) has to give up on a fuel problem while Horst, Cam and Lancelot averaged respectively 102.501mph, 98.306mph and 97.551mph. 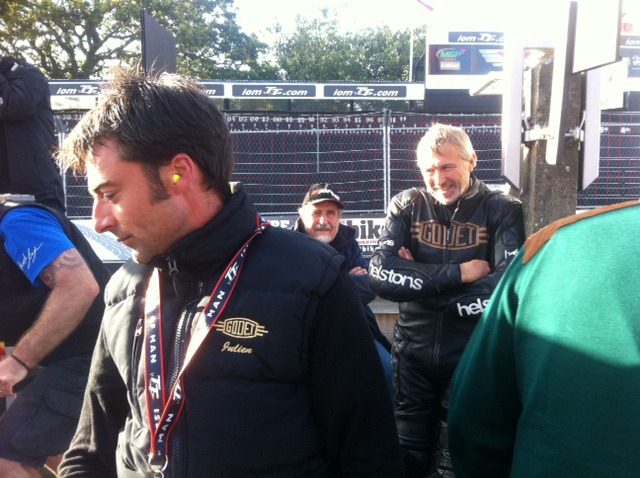 Lap 2: Horst improved his time (21:50:921, 103.613mph – the best ever for a Vincent on the TT), Cam passed the ton at 100.341mph and Lancelot staid constant with 97.975mph. Lap 3: Horst remains very fast at 103.355mph followed by Cam and Lancelot at respectively 99.847mph and 98.251mph. After only two years of development and only three TTs, the Grey Flash engine designed and prepared by Patrick Godet continue to improve its performance. 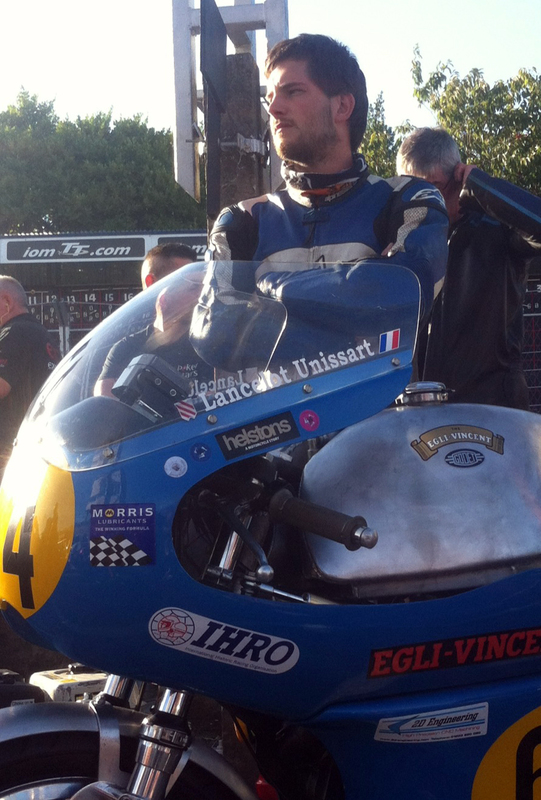 Indeed Bruno made a fastest lap in 2014 at 98.538mph (Egli chassis) and in 2015 at 98.495mph (Vincent chassis). 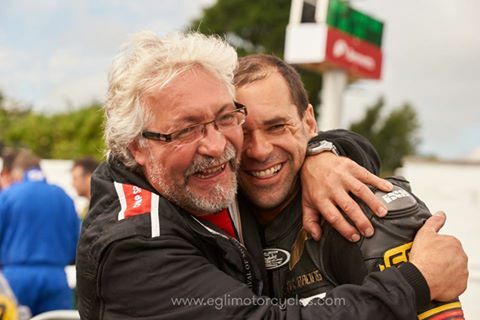 With 103.613mph Horst Saiger and the Egli Racing team demonstrates that the bike has made great strides, signing the best lap ever on a Vincent on the IoM. 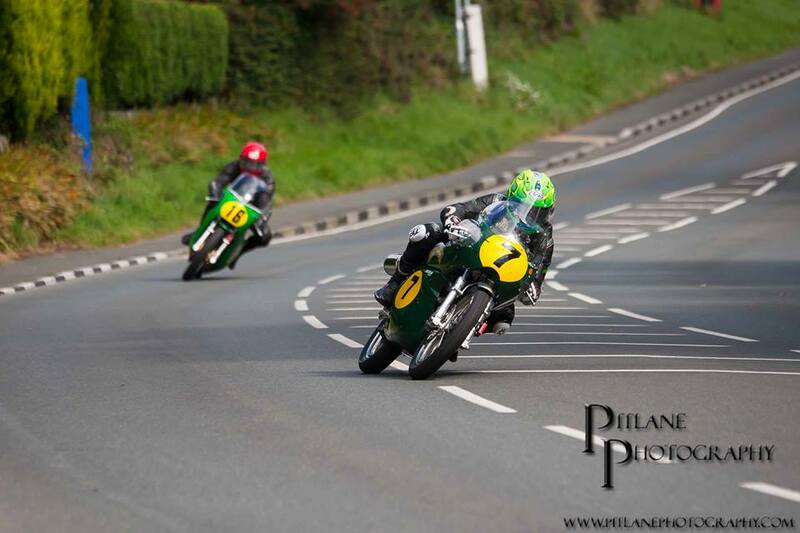 However the Senior TT Class is very competitive with many multi-cylinders (Paton, MV and Honda) which are awfully fast, and on a fast circuit like the TT it makes a big difference! The results are nevertheless more than honorable and very encouraging and the GreyFlash continues to close the gap. 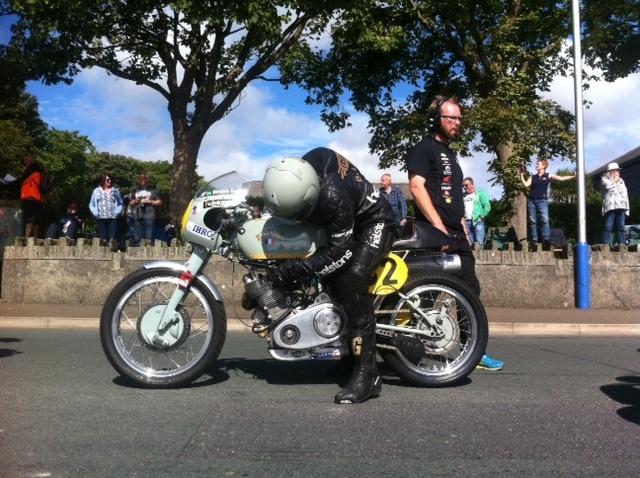 Horst finished in a great 10th position (4th in his category) behind three Patons, one MV Augusta, two Hondas and 2 fast singles: Coward’s Norton and Lindsell’s Enfield. Congratulations to the Vincent boys and also to John McGuinness who won magisterially the race with his Paton at 111.559mph. NB: as new photos come, I will add them to the the thread. 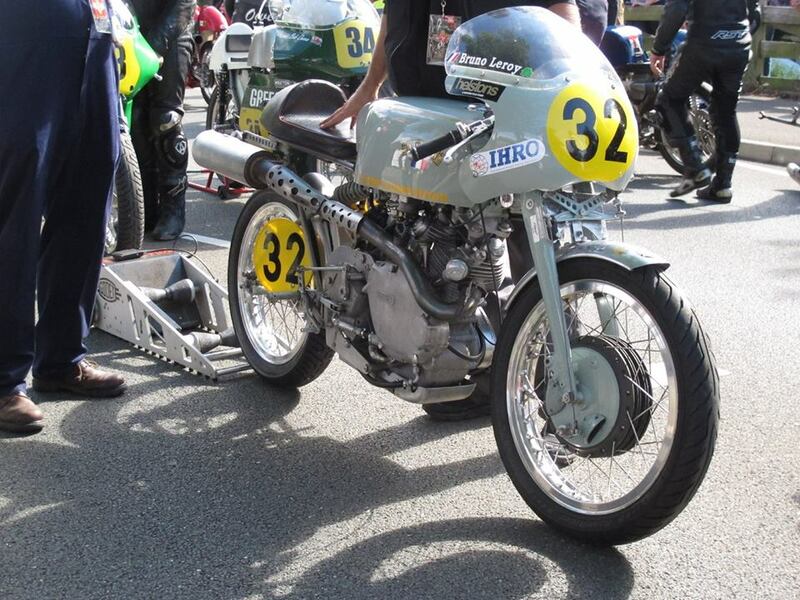 Bruno Leroy’s Grey Flash. 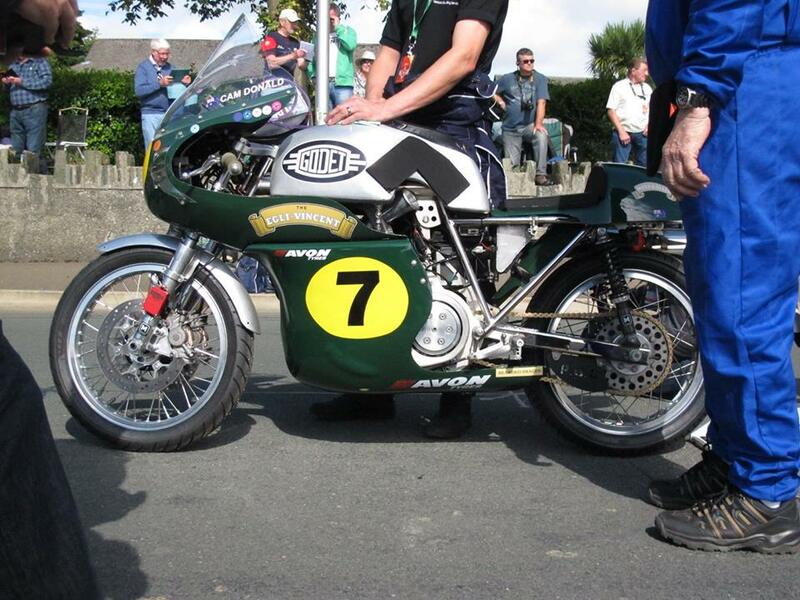 The chassis is Vincent and so are the suspensions. The front drum is a double-sided sls. 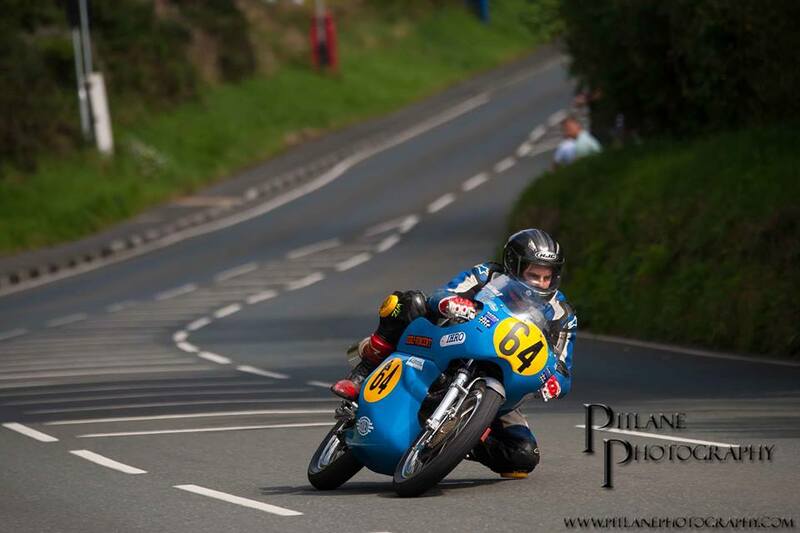 Cam Donald’s Egli-Vincent is equipped for the 2016season with a twin front disk from Lockheed. 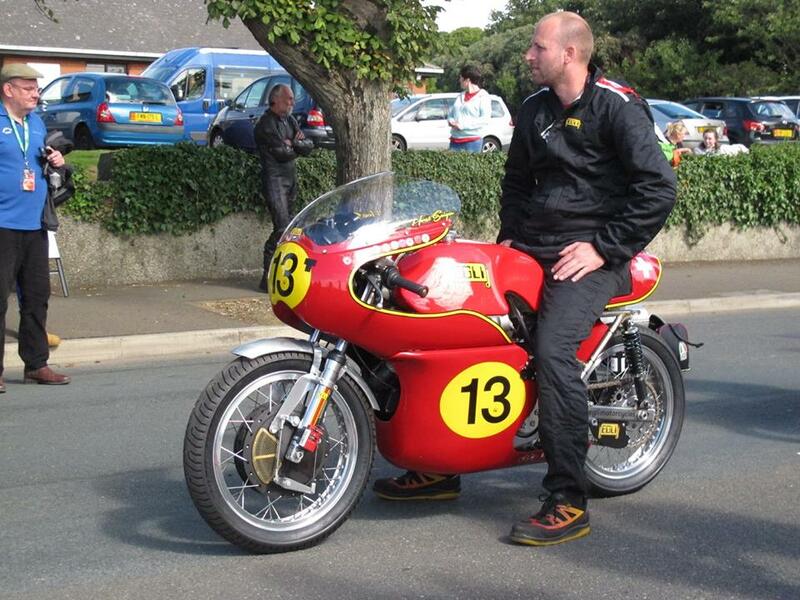 Egli Racing mechanic Jan astride Horst Saiger’s Grey Flash.